Producer JJ Abrams brings us an alternate reality take on World War II via 2018’s Overlord. Set in 1944 on the precipice of D-Day, American paratroopers head to France to take out a German radio tower. However, the Nazis shoot down the plane, and this event leaves few survivors. The remaining soldiers attempt to carry out their mission but they find unexpected – and unspeakable – horrors await. Nothing about Overlord stands out as especially fresh or creative, but I don't mind. It provides enough action excitement that its various clichés don't become an issue. And it's not like the movie isn't aware of its clichés, as it clearly uses some of them intentionally. Just look at the cast of soldiers: outside of the way it mixes in black soldiers, its GIs could come out of any older WWII movie. I half expected the streetwise Tibbet (John Magaro) to be named "Brooklyn" - don't WWII movies always have a character named "Brooklyn"? It's a clever twist that Overlord proceeds as a standard WWII "mission" story for so long before we learn the truth of what the Germans do beneath the church. Of course, we get some hints via Chloe's (Mathilde Ollivier) aunt - and anyone who saw the trailer knows about the secret to be revealed - but I still like the slow build. Once the secret comes to light, the movie lifts into overdrive. It works fine before that point, but I must admit I began to get a little impatient to dig into the horror elements. We know they're coming so it can get a little tough to wait. Intellectually, though, I like the choice to draw out the big reveal, as it lends that sequence more impact. The film takes so many crazy twists during its last act that any potential flaws earn forgiveness. Overlord delivers exactly the kind of wild "B"-movie action it promises. It makes for a fun time if you can withstand the ample gore. 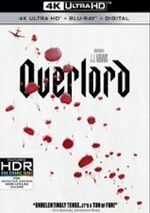 Overlord appears in an aspect ratio of approximately 2.40:1 on this Blu-ray Disc. Though not a stellar image, the presentation seemed to match the source. The biggest issue stemmed to the movie’s dark look, as the many low-light shots could seem a bit dense and murky. While I thought this replicated the original photography, it still made the end result a little mushy. This factor impacted sharpness, as those dim scenes could seem a little soft. Still, most of the flick appeared pretty accurate. I saw no signs of jaggies or moiré effects, and the film lacked edge haloes or print flaws. Despite the period setting, Overlord went with the modern standard teal and orange palette. I’d like to see action flicks dispense with those conceits, but given their restraints, they looked fine here. Blacks came across nicely. Even with the pervasive dimness in the image, the dark elements showed rich tones. You won’t use this to show off your TV but the image replicated the original photography. I felt more objectively pleased with the solid Dolby Atmos soundtrack of Overlord. Downconverted to Dolby TrueHD 7.1, the mix offered plenty of opportunities for lively auditory information, and it took good advantage of these. From the opening combat scene to road chases to gunfire to explosions to other action elements, the mix filled the speakers on a frequent basis. The track placed information in logical spots and blended all the channels in a smooth, compelling manner. Audio quality was also positive. Music sounded lively and full, while effects delivered accurate material. Those elements showed nice clarity and kick, with tight low-end. Speech was always distinctive and concise, too. This mix worked well for the film. 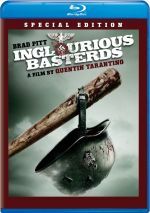 In terms of extras, the package includes a six-part documentary called The Horrors of War. It spans a total of 51 minutes, 28 seconds and provides notes from director Julius Avery, producers JJ Abrams and Lindsey Weber, executive producer Jon Cohen, production designer Jon Henson, supervising art director Grant Armstrong, screenwriter Mark L. Smith, stunt coordinator Jo McLaren, military trainer Freddie Farnsworth, unit production manager John Grant, prosthetics designer Tristan Versluis, armourer Sam Dormer, and actors Dominic Applewhite, Wyatt Russell, Jovan Adepo, Jacob Anderson, John Magaro, Bokeem Woodbine, Pilou Asbæk, Iain De Caestecker, and Mathilde Ollivier. “Horrors” looks at story/characters/screenplay, cast and performances, sets and locations, costumes, weapons and period details, stunts and action, and various effects. The program looks at a good variety of subjects and does so in a way that provides useful insights about the production. 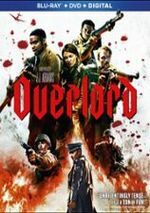 A horror/supernatural twist on the standard World War II “mission movie”, Overlord provides a vivid tale. Packed with action and gore, it twists the genre on its ear and gives us a blast of violent fun. The Blu-ray brings generally good picture along with excellent audio and an informative documentary. Given its graphic nature, Overlord won’t be for everyone, but its target audience should enjoy it.